Polishing the central and northern parts of Fjords is one of the tasks we are working on right now. We plan to improve the gameplay in these parts while keeping the familiar positions and a common game design. Additionally, we want to distribute vehicles across the battle locations to avoid the excessive concentration of tanks in the K5 square. 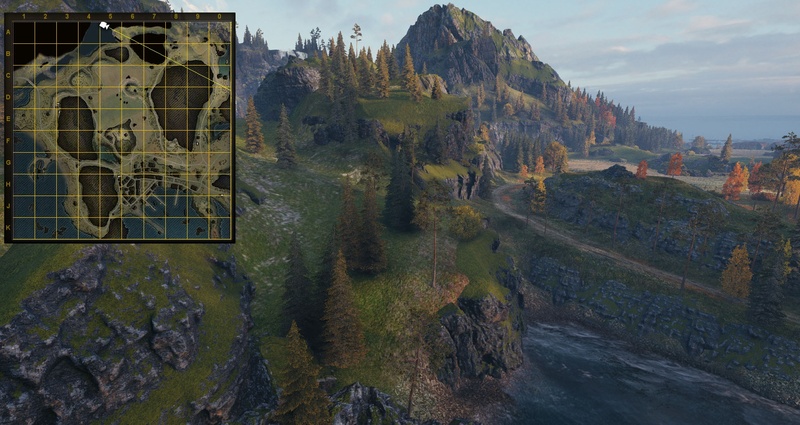 The top part of the map will be reworked in the waterfall area, the spot where usually teams’ interests collide. 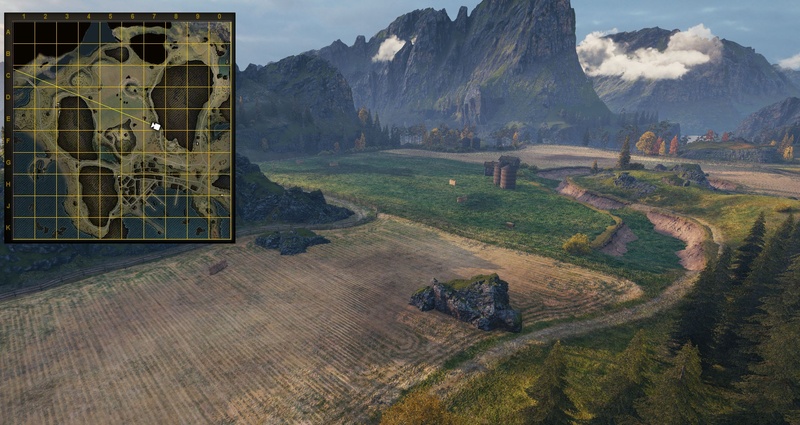 We plan to introduce more opportunities for a battle scenario for the western team. Within the A5-A7 squares, a new path to the waterfall will be added. It will be hard for long-range shots to reach the path, but still, it will require more time to reach the waterfall. To perform effectively, the western team will have to use both possibilities to occupy the waterfall: attack from the A5-A7 and continue via the usual path through the C6-C7 squares. Due to the new path, the western team will acquire a defensive position (similar to that of F8) in the A5-A6 squares. The position will allow holding back enemy forces if you failed to gain the control over the top part of the map. The central part will add more gameplay objects that won’t clutter the battlefield, but will make for more hiding places. Thus, the vehicles in this area will be able to avoid destruction, when it’s been spotted. The C and D central lines will add extra positions. For example, a hollow will let you move away from enemy fire once you’ve been spotted or attack the opponent in the top part of the map. It is intended that this new element will split the battlefield space. It used to be open and dangerous for both teams. Now the novelty will provide for more long-range fire due to the hiding places. The hill in the D6 square will be reworked. It will come in handy for firing and passive scouting. Also, it will be much easier to avoid fire once you’ve been spotted. 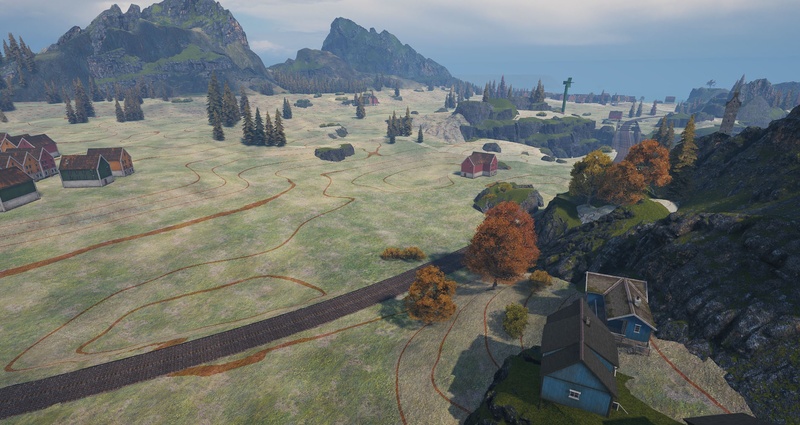 The updates represent a complex decision designed to provide players with more battle opportunities. Keeping the opportunity for firing from afar and providing more options on how to avoid the enemy shells, we want to encourage players to be more active in this part of the map while keeping it familiar. The B2 square will add a new position similar to the J9 lower-base peninsula. Before, not all defensive spots the team had could boast this level of versatility. However, the new position is relatively small in terms of size and is fully exposed to enemy fire. Apart from Fjords, we will test a new game prototype. Although it already has a name, it may not proceed to release. It all depends on your feedback. It is only the first prototype and your opinion will define its fate. The prototype can be labeled experimental. 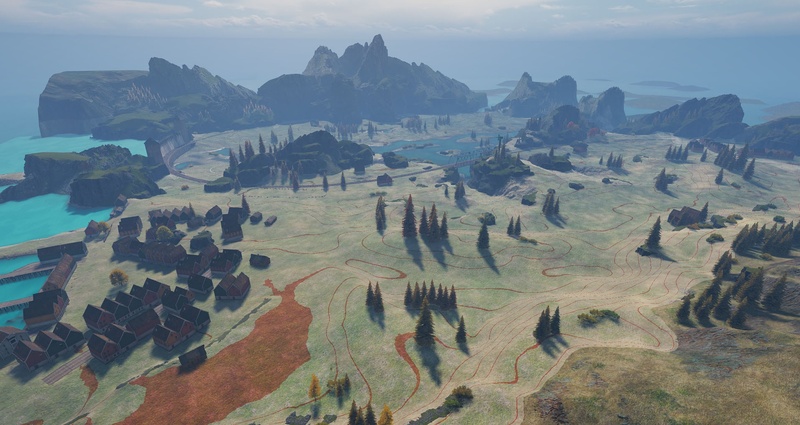 We want to check how the World of Tanks vehicles will behave on a spacious map where there is no clearly defined directions and the battle scenario depends on the terrain differences. 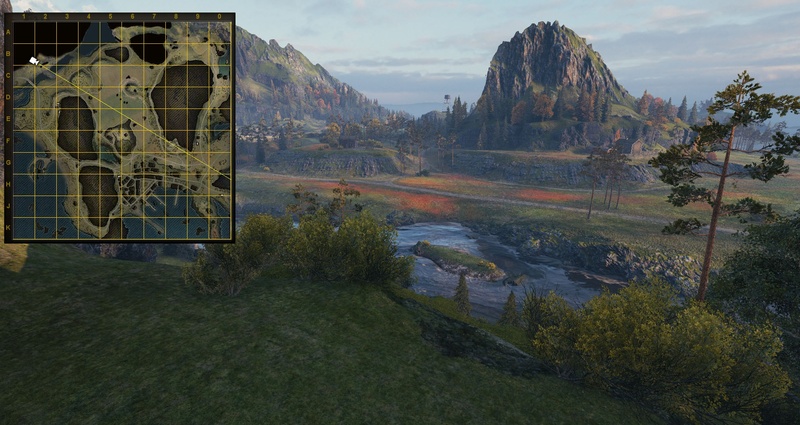 The map size is 1000*1000. The bases have atypical positions. They are located at J2 and J9. Such a positon should help all the vehicle classes: heavy armored and slow machines don’t waste much time before meeting each other in the central squares of the K line. Other classes have most of the map to find a place and avoid situations when you have to engage in a close combat against an armored opponent. Anyway, this is how we would like it to be. The heavy meetup. The meeting point of these heavy buddies is located on the K line (on both sides of it). There are two tunnels within the K4-K7 squares. They provide good defense from the artillery fire, a possibility for armor-angling and an opportunity to attack the enemy right ahead. All what a true heavy gentleman needs. 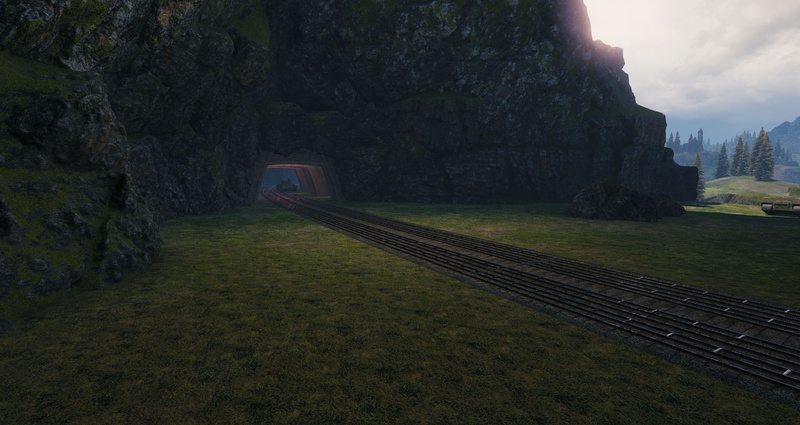 Still, this part of the map is far from being isolated: the tunnels are split into two parts with a space between them. This space allows to support allies that are close to the center. If a straightforward attack is too boring for you, there is a hiding located near the tunnels’ ends. A perfect place to manoeuvre. Taking control over this part will allow you to capture the enemy base or support the allies who fight close to the center. Mobile heavies and medium tanks. These nimble beasts can partake in maneuverable battles in the top part of the map: A and B lines as well as the squares in the 5 and 6 columns have all it takes for this kind of action. The locations are dangerous enough, but having control over them will grant you an array of opportunities to deal damage. Be brave, but cautious as well. The center. 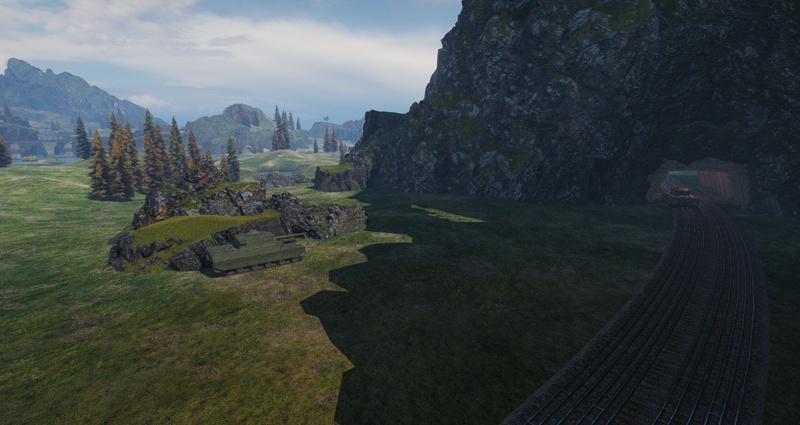 Light tanks can use the location to spot the enemies. The nimble support vehicles can actively approach enemy positions. Use water to occupy the central cliff located in the D5-D6 squares. The location makes for an excellent lookout, but it is very dangerous as there is only one way to reach it and there is no other way back. Important! 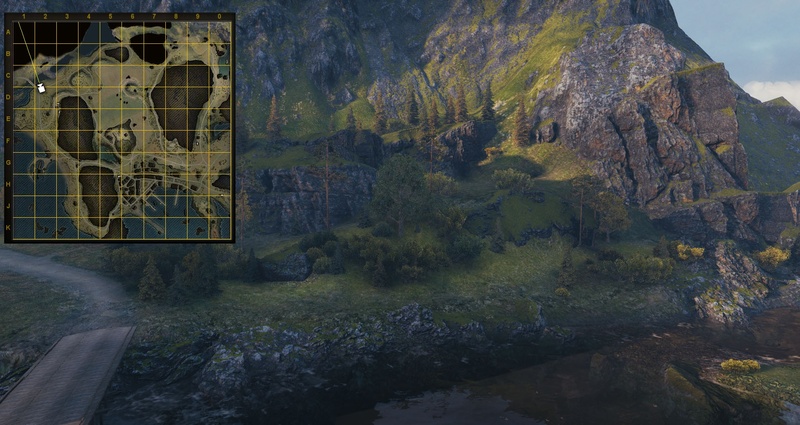 The speed in water remains pratctically the same and this part of the map is a perfect location for swift vehicles. Tank destroyers positions. Classic tank destroyers can occupy the J1, G3, E2, D1 squares (the symmetrical squares will go for the other team). Depending on the occupied position you can meet the opponent from different directions. Artillery. This vehicle type is deprived of the possibility to fire effectively when remaining in one place. Instead, it has to search for advantageous and secure firing points just like other machines. 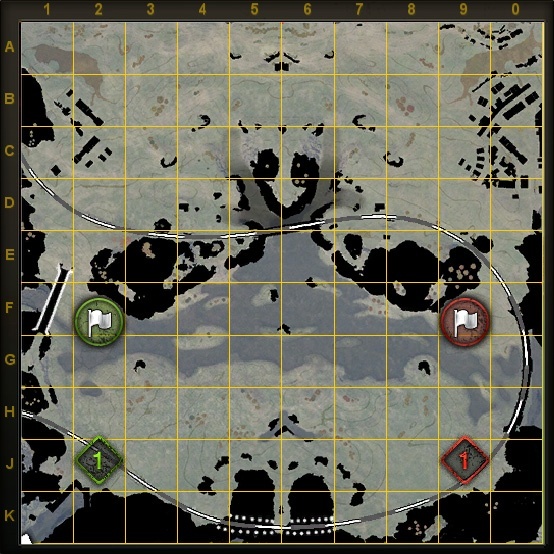 Please bear in mind that the map is open and the diligent enemy scouts can spot you. Change positions often. 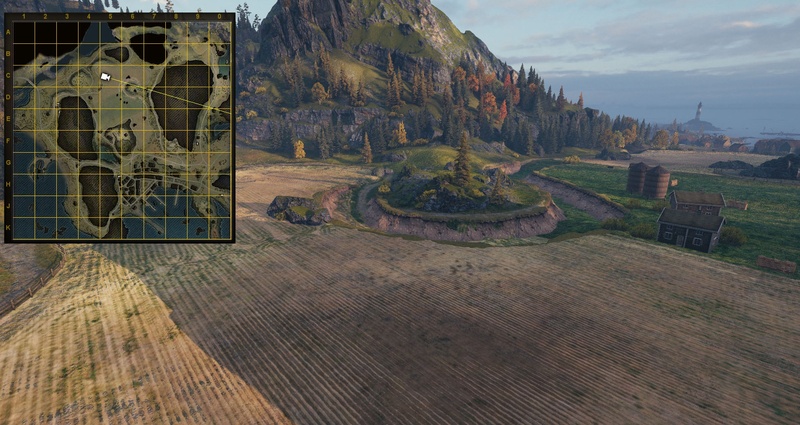 This is a must to ensure an effective artillery performance on this map. The early spotting comes with strings attached. As the map is open there are high chances to be easily spotted and destroyed. It’s better to say it right away: this is not a bug. It’s a feature and one of the most complicated and controversial things we want to test. 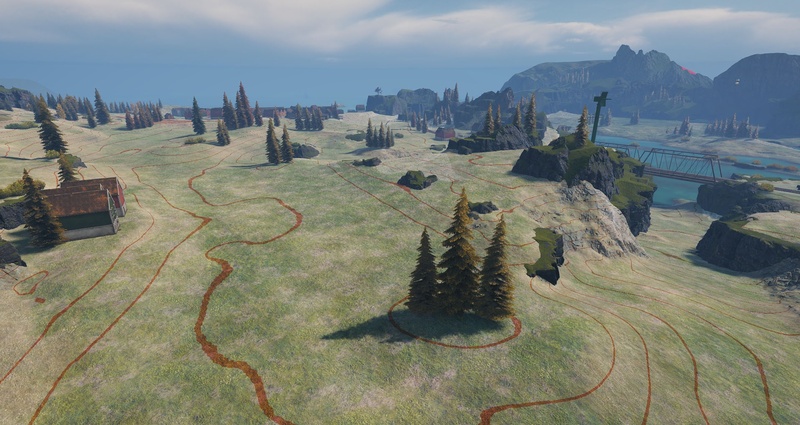 All vehicles moving to the top part of the map risk to getting their sides riddled with shells. Creating possibilities to damage the enemy during the first moments of the battle and creating the ability to avoid are indispensable elements of our game. Just like close combat around a stone or rolling over the hill. 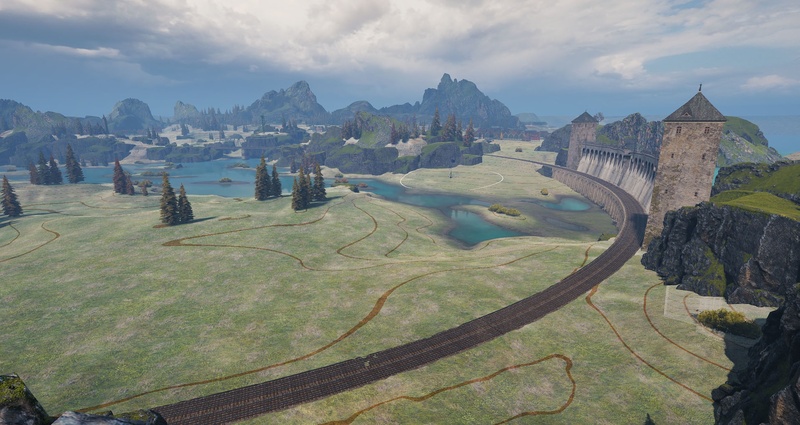 The Fjords updates will be put into action depending on the test results. It is for you to decide on the future of “Lillehammer”. Please share your feedback regarding this new game prototype. We will collect the reviews and understand whether we are on the right track or not. 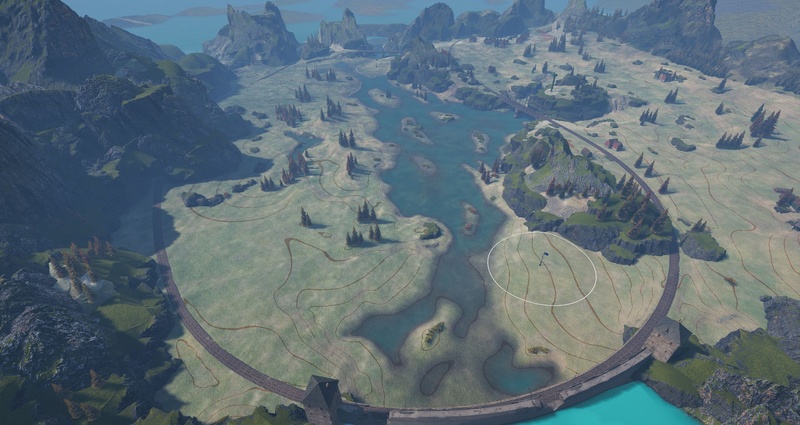 Just add all the old terrain features back in the centre on fjords, problem solved. Stop trying to reinvent the wheel with this map, the old version was perfect in the middle. The old mapcenter was broken with climbable positions only accesible to one party, giving unfair flanking/farming options. Oh, but I am guilty of exploiting them too, particularly the elevated bush in the center only accessable to the west spawn that was basically an “I win” button with 4k dmg attached to it. And did you really use the rocks around the center of the old map? Well I barely remember their positions anymore. 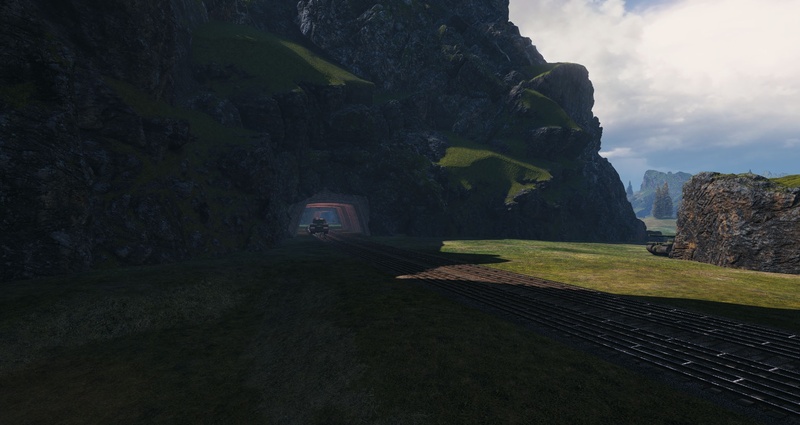 I think they were some of the most pointless terrain-objects in the game. 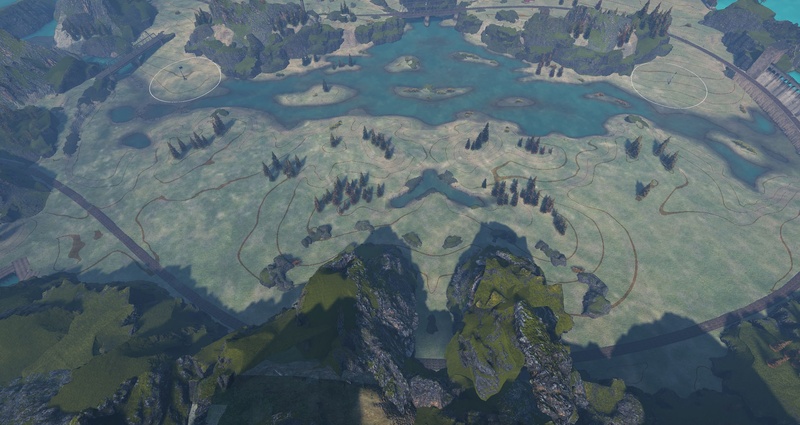 So it boggles my mind how you come to the conclusion old fjords mapcenter was better. 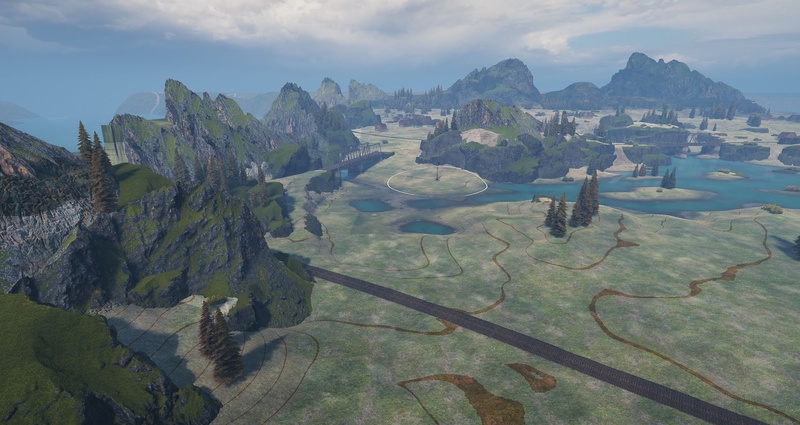 With that out of the way the waterfall area was somewhat biased towards the south spawn in the HD version of the map (and was actually better prior to 1.0) so I am glad they add some more options for the north spawn to approach that zone. That climbing position was an issue which could easily be addressed and to redress some of the minor imbalance in the old centre you could extend the slope and curve it toward the south base so they’d get an elevated position as well. 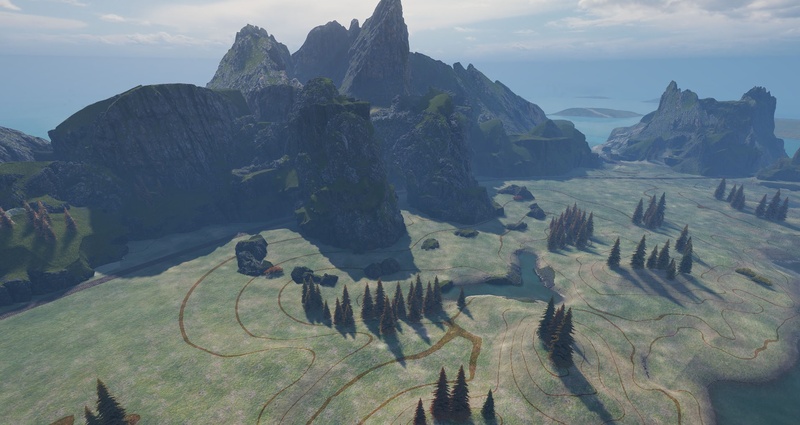 The old Fjords mapcentre was a LOT better simply because it wasn’t a huge open field like now which you can’t use. It had multiple positions for each team to work with. What positions? Hug the mountain or camp in the bush, great. There is a lot more use you can get in the middle right now. 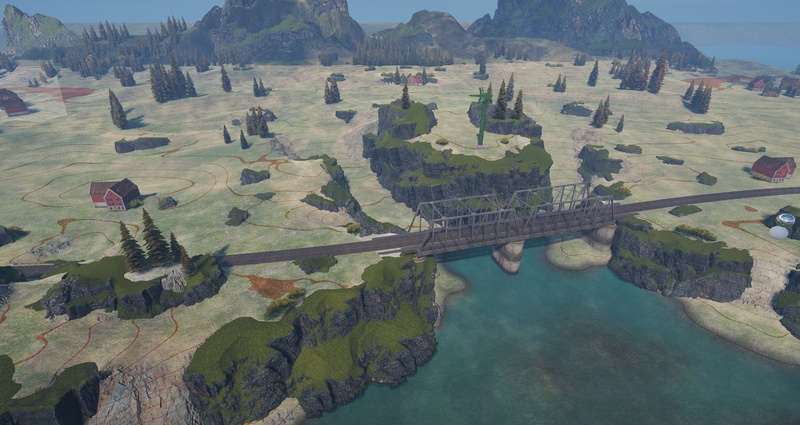 That new map definetly looks like an interesting approach to mapdesign. 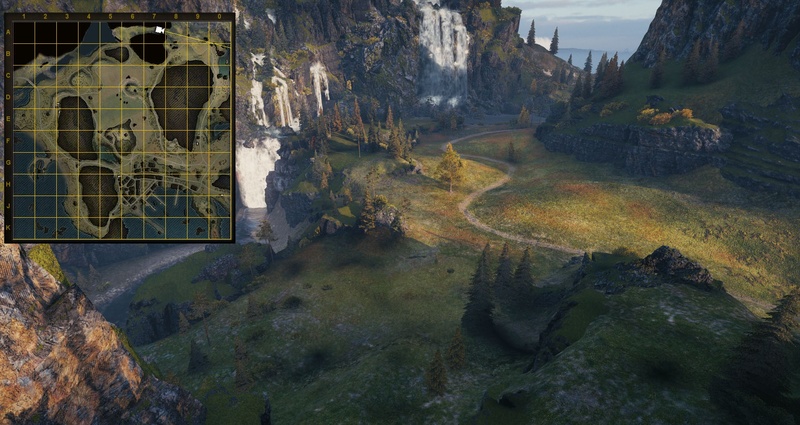 Away from all these corridor maps that we have seen so plentyful in the past. I am really interested in seeing how it works out. Kinda looks like Overlord, but better. I like the tunnels there too.